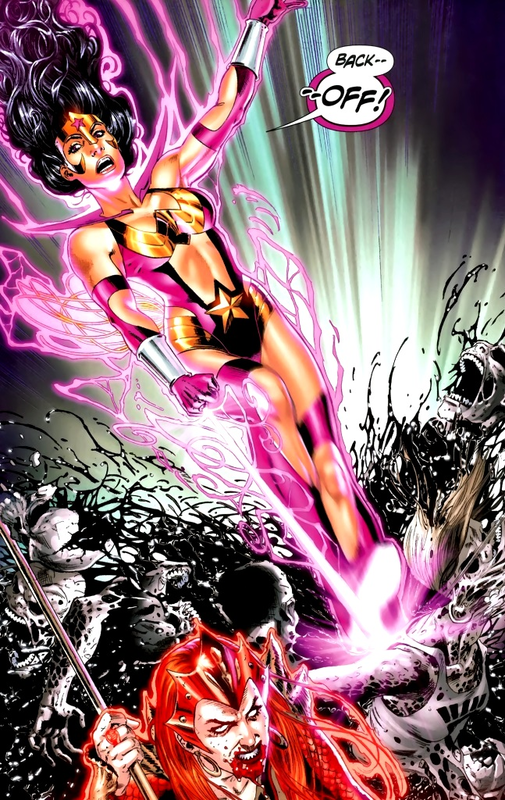 She's Fantastic: Blackest Night's Star Sapphire WONDER WOMAN! 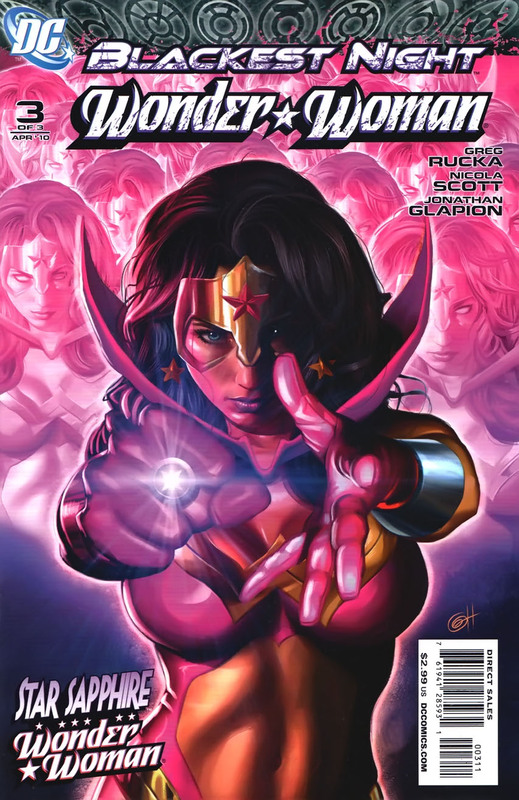 Blackest Night's Star Sapphire WONDER WOMAN! Character variations are a lot of fun. I'm willing to bet that toy designers are so frustrated with the high quotas of top-tier characters required to anchor waves, that when one of those characters makes an appearance in an outlandish but cool costume, they just jump at the chance to spice things up in the sculpting studio. DC Comics' Blackest Night storyline from 2009-2010 provided tons of variations like this. The story was centered on Green Lantern and unveiled the entire spectrum of other Lanterns in the universe (each conforming to an emotion or theme). At one point or another in the storyline, most of the DC heroes we know and love became a lantern (of some color). After Wonder Woman's spooky tryst with the Black Lanterns, she donned a Violet power ring and became the hero we see here. Although "Star Sapphire" historically seemed to be tied to the Green Lantern villain, I suppose it's more of a fluid title or rank to be applied to anyone with a Violet power ring. Let's check out this pink-hued Diana below! The Karen Palinko sculpt is lovely. Although this costume design doesn't add a lot of room for creativity. The design on the headpiece alone seems like one of the trickiest 2D-to-3D conversions I can think of. One of the reasons I wanted to do a post on this figure was because I have my fingers crossed that DC Collectibles (née DC Direct) will keep up their penchant for immortalizing story-specific character variations. The recently released Detective Comics #27 introduced Brightbat and Bluebelle and upon seeing them, my first thought was "we need toys!" Hopefully DC Collectibles will deliver! Wonder Woman comes with a Violet lantern, a gold-string lasso, and a figure stand (with the Violet Lantern logo). You can see this stand in the packaging up above. Here are some images from the comics. In 2011, Mattel featured a slew of heroes in their Blackest Night spectrum identities for Wave 17 of their popular DC Universe Classics line.